National Primary Care Week is an annual event at medical schools nationwide like Kansas City University of Medicine and Biosciences. It is an opportunity for students to reflect on the primary care as a career choice. 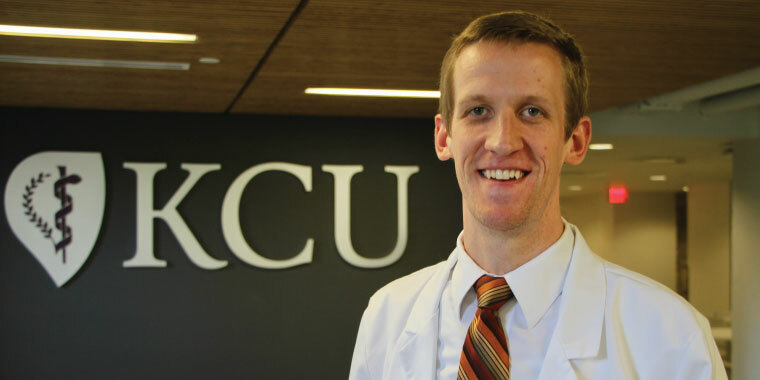 Three KCU student doctors recently gave their thoughts on why family medicine may be an attractive option for them. 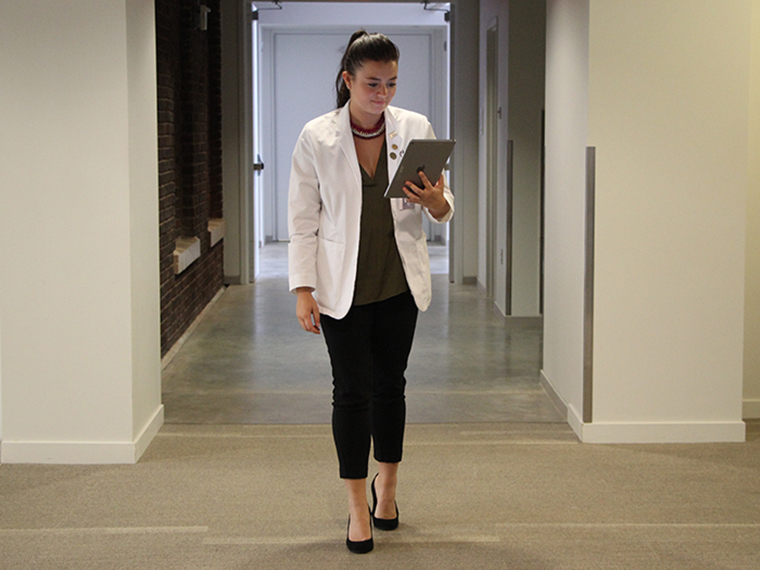 Yana Klein is a first generation medical student. Her parents and grandparents migrated from Moscow, Russia to the United States in the mid-1980s. “We came with only one nickel in our pockets,” said Yana while jokingly imitating her grandparents. “They came here for a better life. Now, I’m going to be the first doctor in our family. It’s pretty exciting,” Yana said. The Denver native studied pre-med at Wake Forest University. After graduation, she worked at a family medicine clinic. 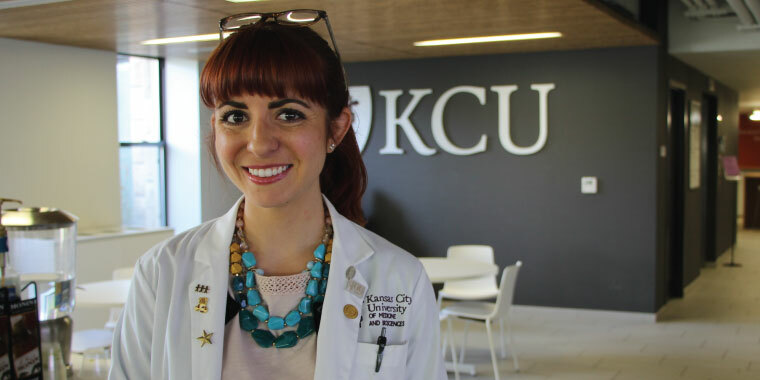 That experience convinced her to continue on into medical school at KCU and consider a career as a primary care physician. “I saw how versatile family medicine was,” she said. Yana works hard. She is known as the “Admin Walker”, often found with an iPad in hand pacing the halls of the KCU administration building studying for hours. If she’s prepping for an exam, Yana says she can walk as much as 14 miles in one day. The second-year student sees National Primary Care Week as an opportunity to show other students the importance of primary care doctors. Yana hopes to eventually move closer to her family in Colorado where she says there is a large Russian population. While she is not certain what path she will take, the idea of helping her home community is appealing. “It would be really cool to practice in a community that has brought me here,” Yana said. Medical student Jameson Bastow is committed to primary care. Jameson grew up in Twin Falls, Idaho, a community of less than 50-thousand people. “We always joke there’s more cows than people,” Jameson said. After attending community college, he received his undergraduate degree from Idaho State University. He is now in his second year at KCU, here on a National Health Service Corp Scholarship, which helps with tuition, fees and other educational costs. In exchange, Jameson has committed to work in primary care at an NHSC-approved site in a medically underserved area. Jameson credits a former scout leader who is an OBGYN with influencing his career and helping him get to medical school. “He was always just a really good guy, really personable and willing to take me under his wing… He encouraged me to do what I wanted,” Jameson said. Growing up outside Philadelphia, Serena DiMattia always knew she wanted to work around children. “I wanted to work with kids even before I decided to go to medical school," Serena said. After graduating from the University of Vermont, she worked in a clinic which specializes in treating infants exposed to opioids. Serena believes that experience “really influenced the path that I wanted to take during medical school." What appeals to Serena about working in primary care is the opportunity to influence someone’s health as they grow older. “You have a really big ability to mold them and get them on a healthy path young. That way they can steer away from preventable disease in adulthood,” she said. This week's theme for National Primary Care week is Preventative Medicine and Health Maintenance. “Preventative medicine is my biggest drive to primary care,” Serena said. She hopes to help children get on a path to do great things when they are older.